Customize image dimension requirements for images that will be uploaded. 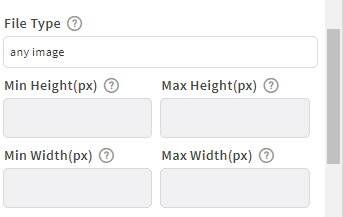 You can set Minimum and maximum height and weight for images to be uploaded in your form. Copyright © Formlets - Oxopia 2018.